Welcome to the Official Stainless Mind website. 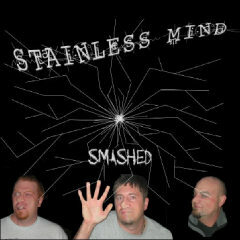 Stainless Mind is a rock band from Columbus, Ohio. The sound is a lot of Punk, a hint of Funk and a dash of Metal rolled into one. Our album Smashed which was released on October 31st 2004 is completely free to download. The downloadable files are high quality 192 Bit-rate MP3's. If you really like us and want the Album, you can buy it! These MP3's are for you and your friends listening pleasure. Basically, this music was created from 1999-2002. The band was disbanded in 2003. It's not that we hated each other. We just had things to do. Cover of 2 Live Crew's the F#ckShop. Its accoustic and kind of funny. Different twist, Kings of Acid Pop EP.